when we were kids, we used to sneak sips of san miguel from our dad's mug. we've been hooked on beer ever since. not just on pale pielsen, mind you, which was all that was available in the local market for decades. back in the 90s, we discovered microbrews, or craft beers, during a trip to portland, oregon, which is considered the microbrew capital of the world. brewpubs there are as common as, say starbucks in seattle. or your neighborhood sari-sari store. there used to be a couple of microbreweries in manila—the now-defunct industria and dusit hotel's paulaner bräuhaus (which is now fiesta san miguel, where you can still get your fill of fresh brews of san miguel beer. grappa's has a selection of their own brews too). but the bottled kind is now available in manila. last wednesday, the fash pack attended a beer-tasting at old swiss inn. for P750 we got to drink as much beer as we wanted from 6:30-8:30pm. 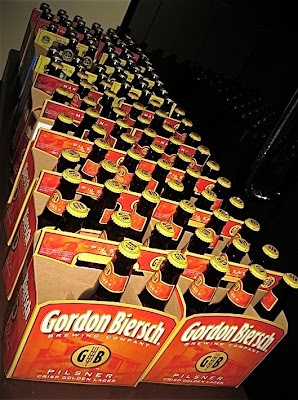 there were four kinds of american craft beers to choose from: there were two from gordon biersch brewing company, and we started with the lightest one called pilsner. it's easy to drink and good as a happy-hour drink. next was märzen, which is richer, with more body—a nice accompaniment to german sausages. 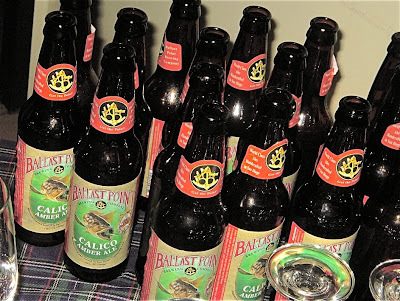 the other two were from ballast point brewing company. 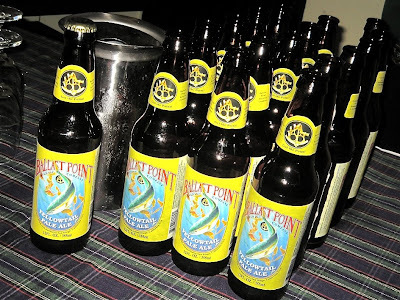 first up was the popular yellowtail pale ale. it's quite crisp and will go well with a meal. finally, we ended with calico amber ale. as the name implies, it has a lovely amber color, very flavorful, and better to drink on its own with just nuts, pretzels, or light pica-pica. we were hoping to get a taste of beers from rogue, which is from oregon. 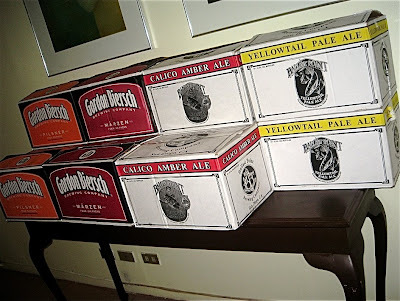 the beers are distributed by global beer exchange and are now served in several restaurants. aside from old swiss inn, a selection is available in myron's, myron's place, elbert's steak room, and basilio.